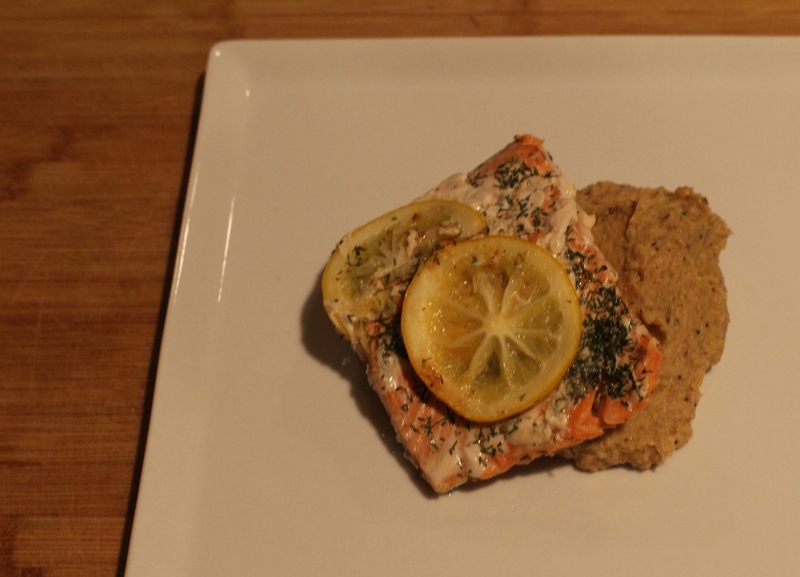 Here is a simple delicious salmon recipe that takes 15 minutes to make from start to finish and tastes much more complex than it actually is (a bonus!). My daughter is obsessed with all things pink and purple so when we eat this she is over the moon excited that she gets to eat something with such a vibrant shade of pink. 2 lemons- Cut the ends off and discard. Slice into 8 rounds (4 per lemon). Mix together the salt, dill, and black pepper in a small bowl. Coat your 12 inch pan/skillet with the oil. 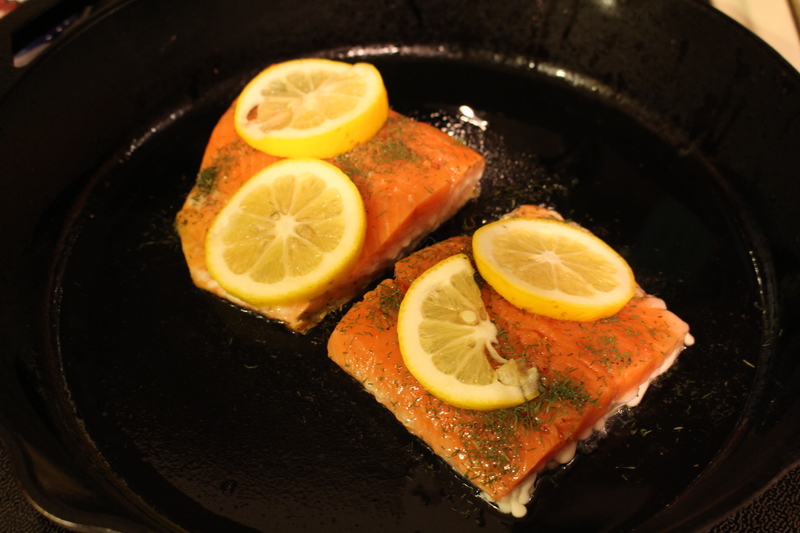 Using medium heat, add the salmon (skin side down) and sprinkle about half of the seasoning mixture over the salmon. Put 2 slices of lemon onto each piece. Cook for 5 minutes. 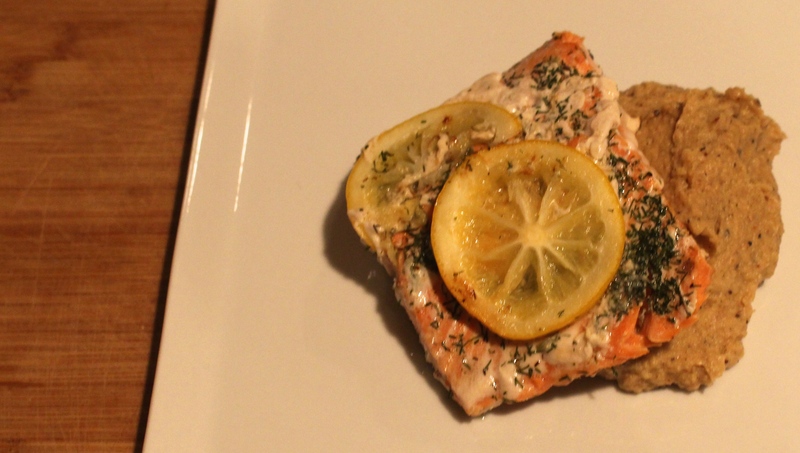 Flip while trying your best to keep the lemon slices in place on the salmon. Now that the skin has cooked you should be able to peel it off using a spatula. Discard the skin (or feed it to your dog who is probably standing by your side salivating right now). Sprinkle the remaining seasonings onto the fish. Cook for another 5 minutes. Give it one last flip to help incorporate that last bit of seasoning (you should be lemon side up now) and cook for about 2-3 more minutes. I like to serve this with my Garlic Mashed Cauliflower recipe. Eat hot and enjoy!